Rational emotive behaviour therapy (REBT) is an approach to counselling and psychotherapy rooted in the CBT tradition and one that has a distinctive perspective on emotional problems. Rather than discussing treatment methods, Windy Dryden encourages the reader to accurately understand these problems and suggests that a clear, correct understanding of each disorder will provide a firm foundation for effective treatment. This concise, straightforward text presents each emotional problem in a similar way, allowing the reader to compare and contrast the similarities and differences between problems. 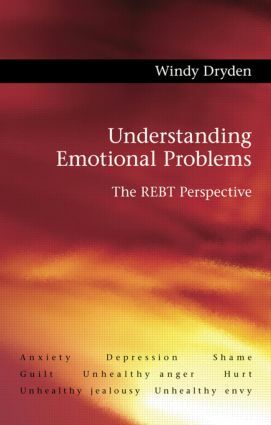 Understanding Emotional Problems will be essential reading for therapists both in training and in practice.